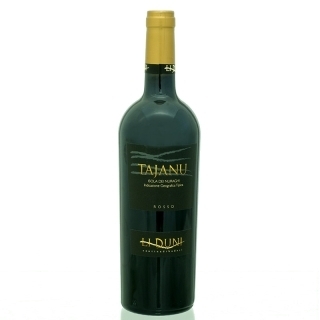 This wine is produced ​​from grapes grown in the north east of Sardinia, in a sandy soil climate. This process accentuates the ruby intense colour, and the aroma is typical of the wine aged in small oak barrels with notes of black cherry and cinnamon, and a harmonious dry soft complex and strong flavour. This delicious wine goes well with our prosciuttos like lamb prosciutto and wild boar prosciutto. It is recommended to serve at 18ºC, opening it half hour before hand.